It’s key for ELCA colleges and ELCA faculty at secular schools. What makes a college “Lutheran”? Quality education-not the number of Lutherans-is key, according to several educational authorities. Anantanand Rambachan, a Hindu who heads the religion department at St. Olaf College, Northfield, Minn., stands with Bruce Benson, campus pastor. If ELCA schools had to be administered by Lutherans, Benson said St. Olaf would lose an “invaluable” teacher in Rambachan. Read the rest of this article, which appeared in the November 2008 issue of the Lutheran Magazine. 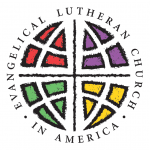 Visit the ELCA website, to learn more about the Lutheran commitment to education. A Lutheran college or university locates identity in a common institutional calling. Institutions in the Network of ELCA Colleges and Universities (NECU) share a common calling that is deeply rooted in the Lutheran intellectual tradition and boldly open to insights from other religious and secular traditions. Because they are rooted in a robust theological tradition, these institutions intentionally pursue conversation about big questions from the full array of religious and secular academic traditions. In so doing, they shape character, invite vocational discernment and build religious literacy. These institutions pose big questions, like “Who are you going to be?” alongside the question “What are you going to do?” Wrestling with these questions, students gain fluency in the language of meaning and purpose. Then, these institutions press graduates to push beyond careerism toward meaningful work and active participation in just, loving communities. These institutions also critically engage with religion while understanding that, for practitioners, religion is a way of life. Attention to religion helps Lutheran students and students in other religious traditions grow in faith and commitment to their communities. Students with a secular self-understanding will grow in their commitment to their guiding ethical perspectives. Now, as never before, the world needs our graduates, graduates who are intellectually acute, humbly open to others, vocationally wise, morally astute and religiously sensitive.